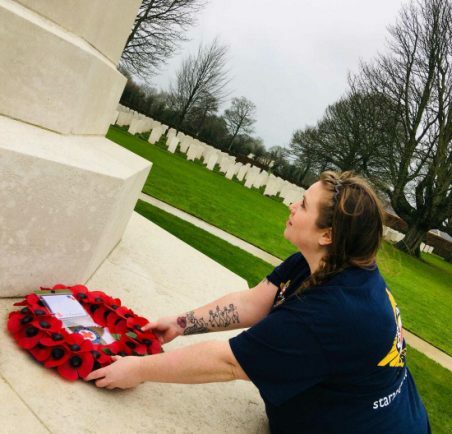 A wreath from The Royal Star and Garter Homes was laid at the memorial in the Bayeux Commonwealth Military Cemetery in France and signed on behalf of its residents by Charlie Wilson, the home’s activities and volunteers manager. 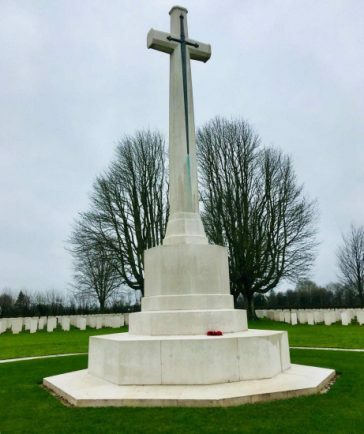 It included a note written by Joan, a resident who served in the Auxiliary Territorial Service (ATS) – the women’s branch of the British Army – during the Second World War, and whose husband took part in the Normandy landings. It read: “On behalf of all veterans of World War II, grateful thanks to our brave souls who gave their lives on the Normandy beaches 75 years ago to secure our freedom. Along with the message written on the wreath, other residents also gave notes for Charlie to take with her to France. “You learn more about what they did, what they went through, and they went through hell. But they still managed to fight and they still managed to win.